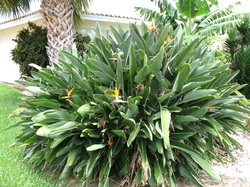 This orange Bird of Paradise is one of several different varieties growing year round at Bayside. 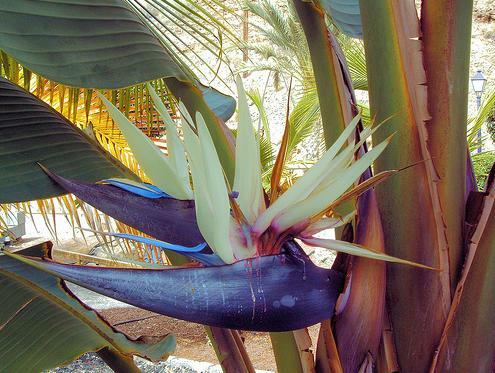 There is also a lobster claw variety as well as a Nicolai which is also known as Giant Bird of Paradise or tree bird-of-paradise. This giant variety develops 5 foot leaves on stalks up to 6 feet with exotic white and blue flowers resembling tropical birds. The giant bird will eventually reach 10 m tall. The giant Bird growing at Bayside is pictured below. 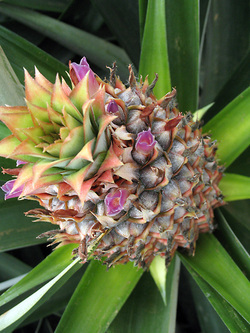 Bayside Villa has a number of delicious fruits you may be able to pick and enjoy depending on when you visit including; Banana, Mango, Papaya, Pineapple, Lychee.